The ubiquitous indie engine now supports all next-gen platforms. It's hard to find an indie game that doesn't use the Unity engine. It powers everything from casual titles like Temple Run and Bad Piggies to meatier fare like Wasteland 2 and Endless Space. It's simple, easy to port to multiple platforms, and free (unless you start making lots of money). 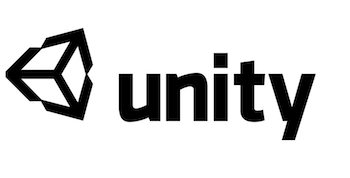 Now, Unity is partnering with Microsoft to port the plucky indie engine to the Xbox One and Windows 8 platforms. Microsoft and Unity recently announced the partnership at the 2013 Build developer conference. "[Developers] will be able to port [their] games, ads, training and educational apps, any kind of Unity-authored content, to both the Windows Store Apps and Windows Phone 8 platforms," said Unity CEO and founder David Helgason. They will also support Xbox features like SmartGlass and Kinect support, matchmaking, and cloud functionality. However, the deal is hardly exclusive, as Unity made a similar deal with Sony and Nintendo early this year. This means that we could be seeing many more indie titles across all next generation platforms. Along with the current Android and iOS support, about the only thing that Unity doesn't run on is your toaster.